The two white layers within the Sevier River Formation, near the bottom and the top, are airfall volcanic ash deposits. 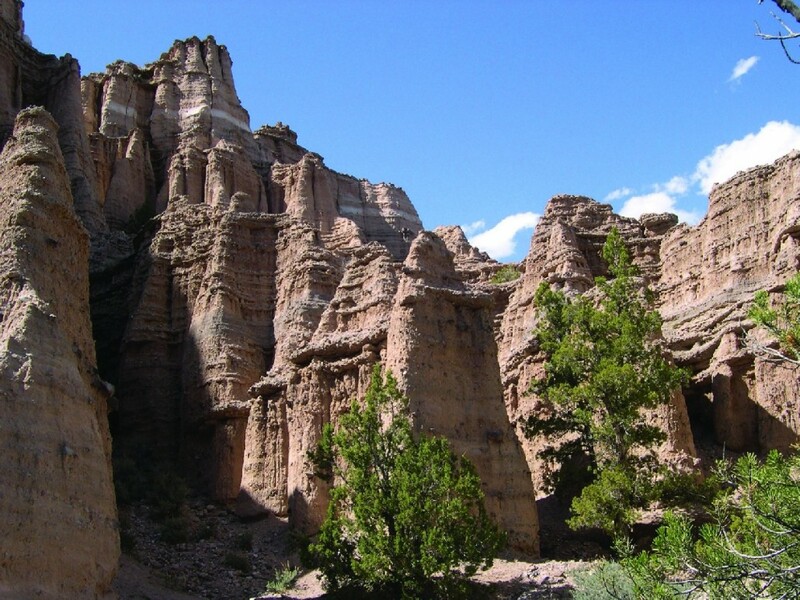 Castle Rock Campground is nestled within the canyon of Joe Lott Creek in central Utah, adjacent to towering and intricately carved cliffs weathered out of the Sevier River Formation. The campground is located within Fishlake National Forest and is managed by Utah State Parks and Recreation. The campground road ends in a large loop with Joe Lott Creek flowing through the middle. Campsites on the west side of the loop lie next to the majestic castle-like cliffs and are the best places to view the Sevier River Formation up close. 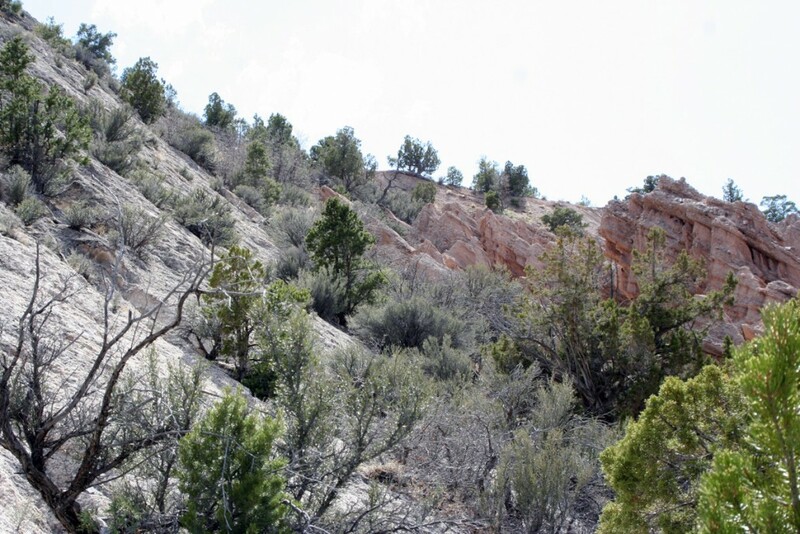 Farther up the canyon are outcrops of the light-colored Joe Lott Tuff Member of the Mount Belknap Volcanics which underlies the Sevier River Formation. The campground is located within the Marysvale volcanic field, an area that underwent intense volcanic activity between 27 and 19 million years ago. Lava flows, debris flows, and volcanic ash falls that accumulated during this time are more than a mile thick. 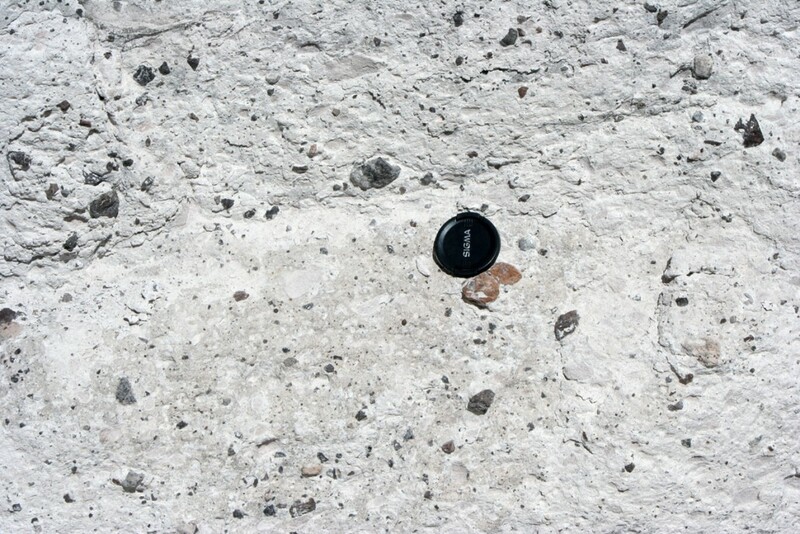 Near the end of this volcanic interval, the Joe Lott Tuff erupted as a large avalanche of volcanic ash, rock, and gas. The Joe Lott Tuff is a light tan to pink-brown rock primarily composed of welded ash with quartz and feldspar crystals, glass fragments, and larger fragments of gray pumice and darker volcanic rocks. So much material was ejected during the eruption that the roof of the magma chamber collapsed due to the loss of interior support, creating the Mount Belknap caldera, located about 10 miles to the southwest. Not long after this eruption (geologically speaking, 1 or 2 million years), the Earth’s crust here and to the west began to be stretched westward. During this initial phase of basin-range extension, sediments were eroded off higher areas and deposited in river channels, flood plains, and lakes, eventually filling in valleys and canyons with layers of siltstone, mudstone, sandstone, and conglomerate. This deposition occurred between 14 and 5 million years ago and produced what is now called the Sevier River Formation. If you look closely at the cliff face behind campsite #23 (on the west side of the loop road), you can see the many different sediment sizes in the Sevier River Formation, including relatively large rock fragments. Most sediment carried by a stream is relatively finegrained material such as silt, clay, sand, and small pebbles. But when the velocity of the flow increases, perhaps during storm floods, a stream has the power to transport large rocks. Most of the larger rocks here are volcanic, eroded from volcanic highlands to the south. You will also notice that the cliff has two white layers, one near the bottom and one near the top. 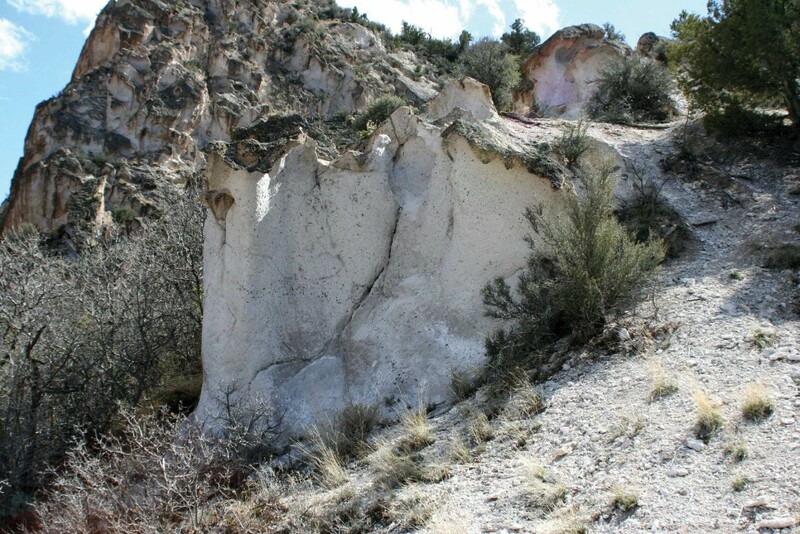 These are airfall ash (tuff) deposits, indicating that there was still some volcanic activity during the deposition of the Sevier River Formation. Hiking up the canyon trail south of the loop road, you can see the contact between the Sevier River Formation and lighter colored Joe Lott Tuff. 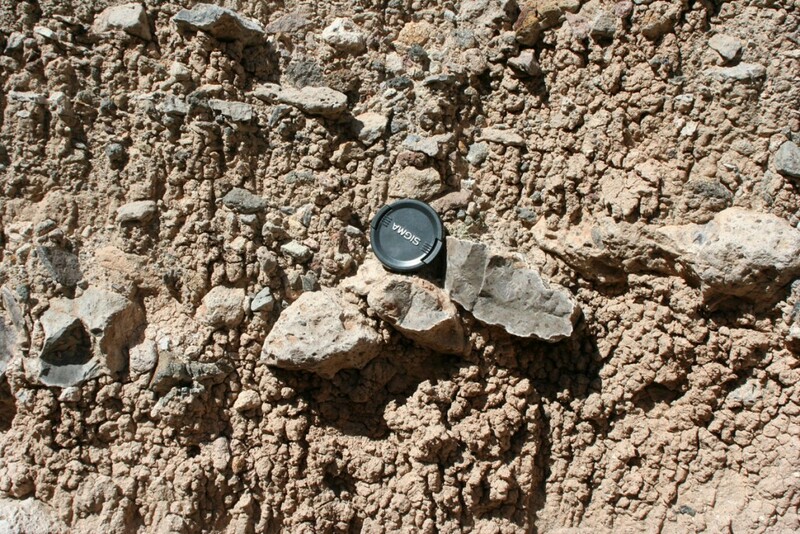 The contact here is a normal fault, along which the Sevier River Formation has moved downward relative to the Joe Lott Tuff. The rock layers are tilted due to folding and movement along this and other faults in the area. 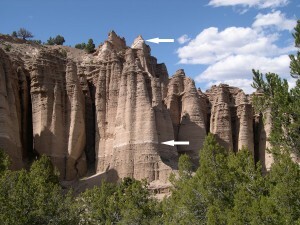 Castle Rock Campground is on the south side of I-70 near Fremont Indian State Park. From the I-15/I-70 interchange south of Cove Fort in Millard County, head east on I-70 to exit 17 (this is the same exit for Fremont Indian State Park). Turn right at the end of the off-ramp onto the campground road and travel up the road about 1 mile to the campground. Rock outcrops will be visible on both sides of the road. Exit 17 can also be reached by traveling about 20 miles west on I-70 from Richfield in Sevier County. For camping reservations and state park information, visit stateparks.utah.gov/parks/fremont.